BrmfcwndIta.dll File | How to Detect BrmfcwndIta.dll Error? The file named BrmfcwndIta.dll is developed by Brother Industries Limited. The software named Status Monitor uses this particular DLL program. It is not associated with any malware or Trojan attacks as confirmed by scan reports. The file is considered to be safe as it has a threat level of 1 and receives proper security fixes from its original developer. BrmfcwndIta.dll is located in C:\Program Files\rfg\brmfcmon\brmfcwndita.dll. The total size of the file is 160 kilobytes. The latest version of the file available is 2.4.6. It is a non-system process which can be disabled or uninstalled. The operating system will not be affected if the DLL goes missing at any point. How to check if your computer is infected with BrmfcwndIta.dll malware? Step 1: Press CTRL+ALT+DEL keys at once to open Task Manager. Step 2: If you notice the file located outside C:\Program Files, you should run an antivirus scan to get rid of the malware. How to remove BrmfcwndIta.dll malware from system using Comodo Cleaning Essentials? 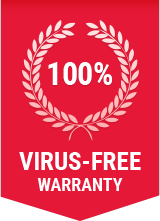 You can either choose to remove BrmfcwndIta.dll and other malwares using Comodo Antivirus, or Comodo Cleaning Essentials (CCE) – both of which are absolutely free to download! CCE is a set of computer security tools designed to help you identify and remove malwares and unsafe processes from an infected computer. Check the system requirements and download the feature-rich CCE suite for free. Smart Scan: Does a scan on critical areas of your system. Full Scan: Does a complete scan of your system. Custom Scan: Does a scan only on selected items. The process to initiate the above mentioned scans are self-explanatory and thus, easy-to-use. Additionally, it's recommended that you approve of any updates that the CCE will prompt you about to ensure it does a better job of identifying all the latest threats. Click 'Next' to view the results. Regardless of the type of scan you choose, the results will sometimes show false positive (flagging files that are actually safe), which has to be ignored. Only select the files you want to get rid of. Click 'Apply' to apply the selected operations to the threats. The selected operations will be applied.